Beruit. A place I had never heard of or travelled to. Turns out it is the largest city and the capital of Lebanon. I know of Lebanese cuisine, but not enough to be an expert. 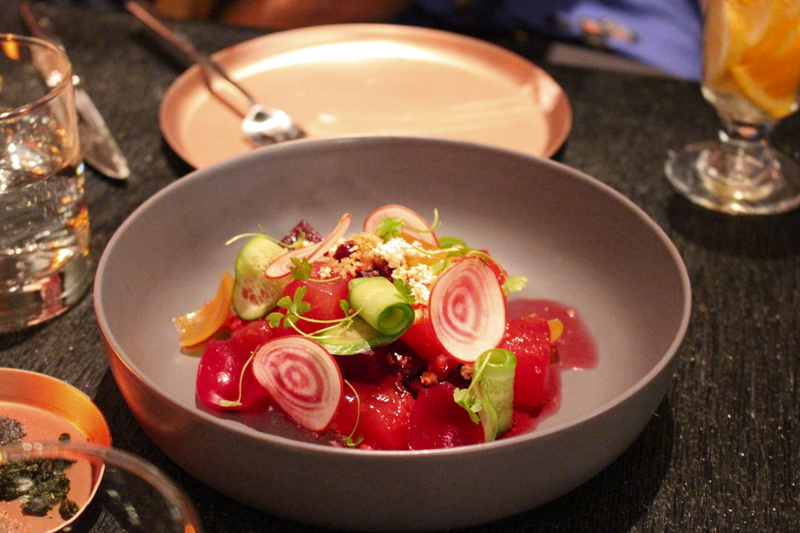 And because of this, I was very excited to try out the latest restaurant on Auckland’s dining scene. 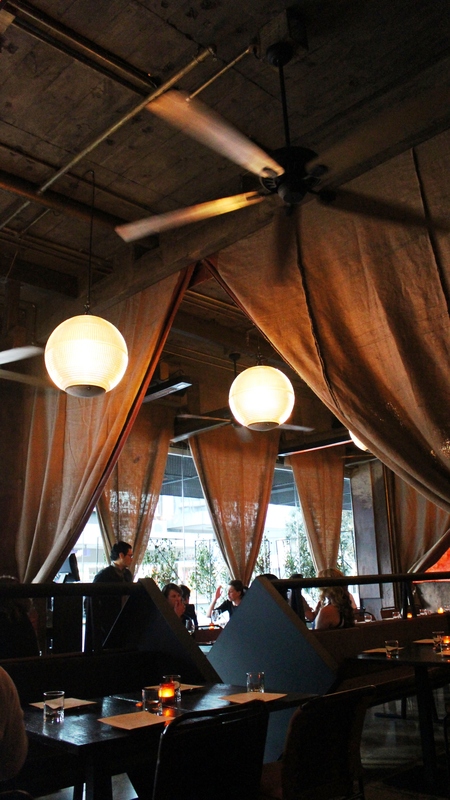 Walking in, the decor is rustic, yet stylish and very inviting. We were greeted by the lovely Louise, the manager of Beirut, who gave us an introduction about Beirut and its cuisine, in that they not only serve Lebanese food (i.e. Kibbeh and Fattoush), but a range of Middle Eastern dishes as well, all of which have been modernised. Louise also explained all the dishes on the menu in thorough detail, which was great, but it did make ordering difficult because she made everything sound divine! 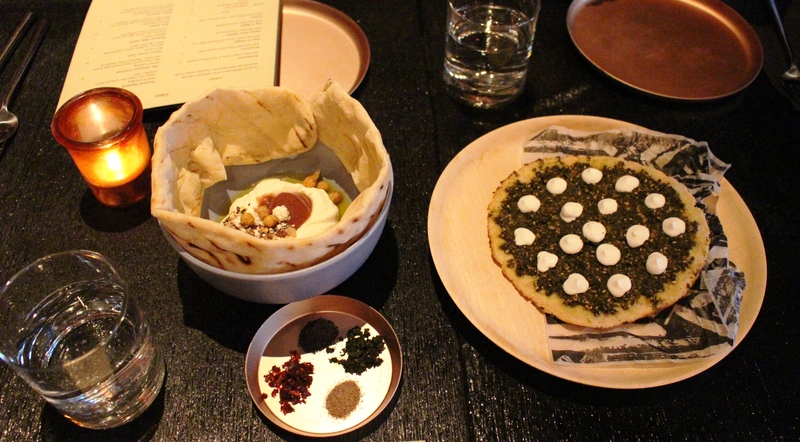 Smoked Yoghurt Labna with citrus burnt ghee, date, chickpea and scorched flatbread. 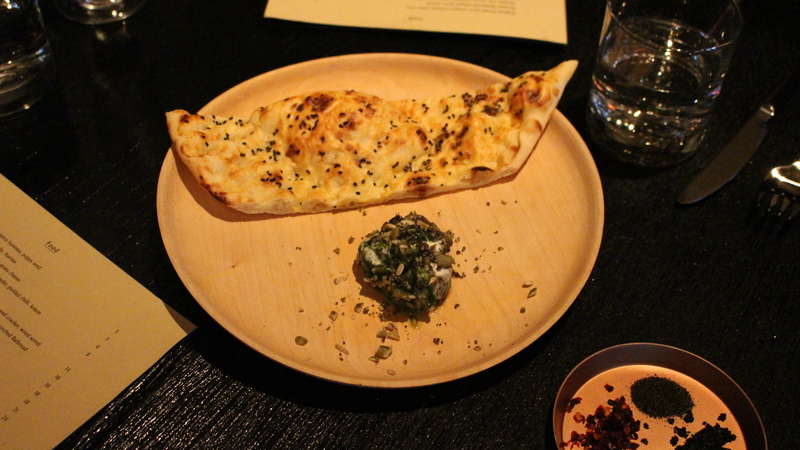 This was easily one of the best dishes of the night, even though it is literally just bread and dip! The yoghurt was creamy and very moorish. Also loved the presentation! Za’atar with kale, thyme, coriander, sumac and goats cheese. 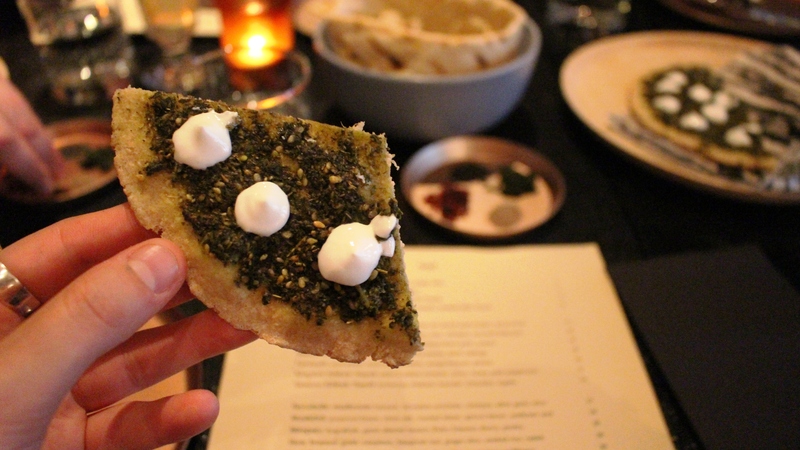 This is a traditional Lebanese bread made with a za’atar topping (a blend of herbs, sesame and salt), however Beirut have modernised it by adding goats cheese on top. It was pretty as a picture and had great flavour. Afghan bread with black courgette hummus and poppy seed. This was another great starter, with pull apart bread and tasty hummus. Bubba with burnt eggplant and black cabbage. I love eggplant and cabbage, but did not enjoy this dish. Strange presentation too. Fattoush with watermelon, beetroot and cucumber. I loved this dish! It was fresh, light and it would be perfect in the summertime! 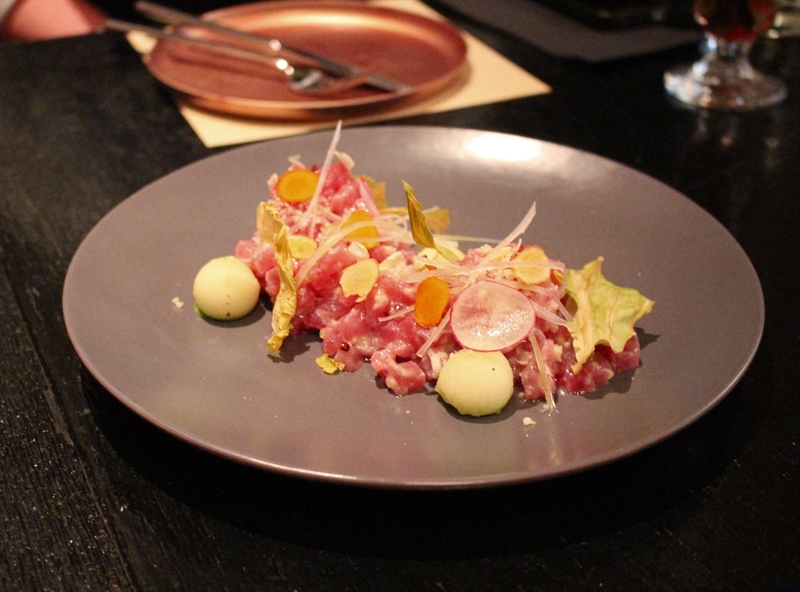 Kingfish Kibbeh Nayeh with turmeric, citrus and honey. Unfortunately they did not have any kingfish, so it was made with tuna instead. 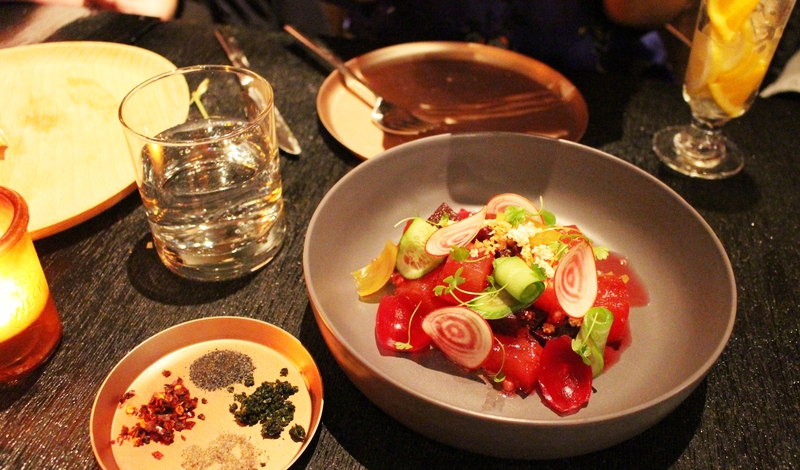 It tasted more along the lines of ceviche, rather than a Middle Eastern dish. I did however still enjoy it because I love raw tuna. 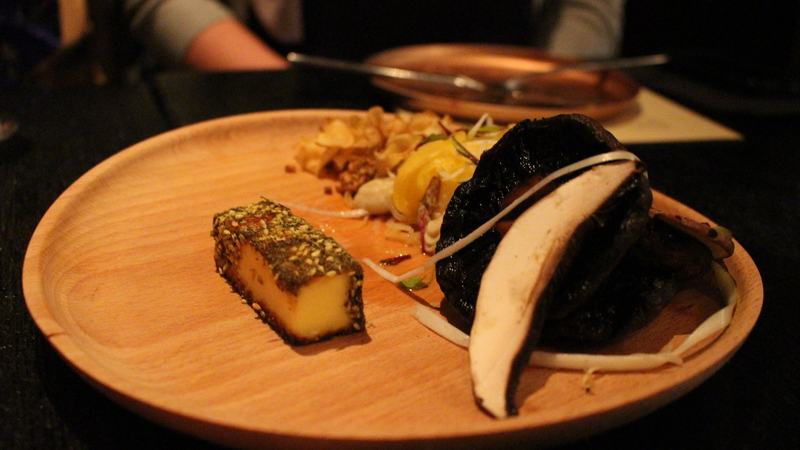 Portobello mushroom with haloumi, artichoke and chickpeas. This was a very small dish, especially for the price of $24. One teeny tiny slice of haloumi was difficult to share between five people! 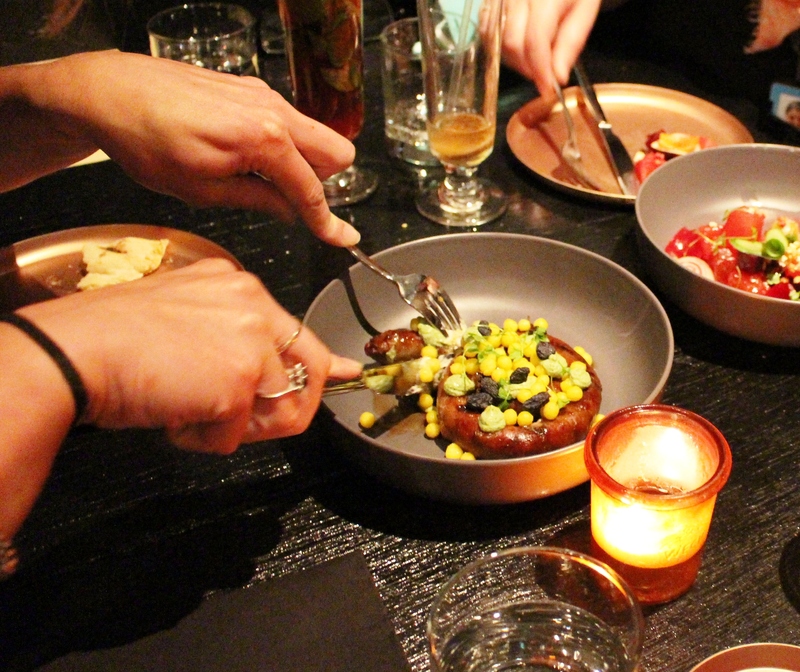 Merguez, a spicy North African sausage that arrived twirled in a bowl. Accompanied by large Israeli couscous, it well flavoured, quite spicy, but very enjoyable. 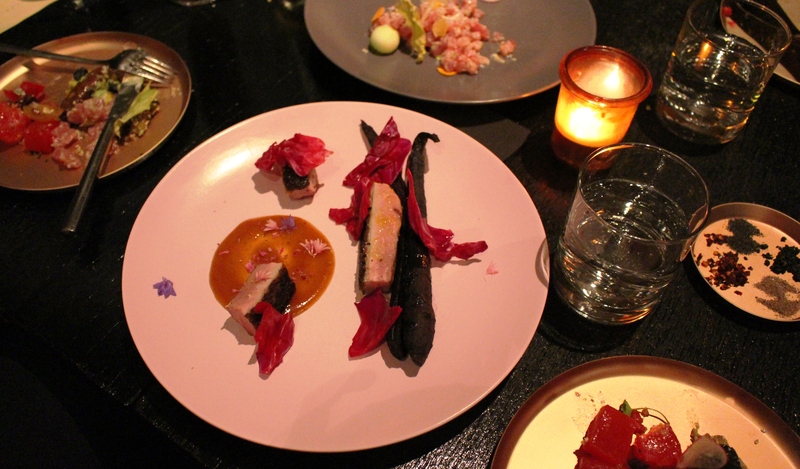 Duck Ras El Hanout with rose petal jam, red cabbage and heirloom carrots (which strangely looked burnt). 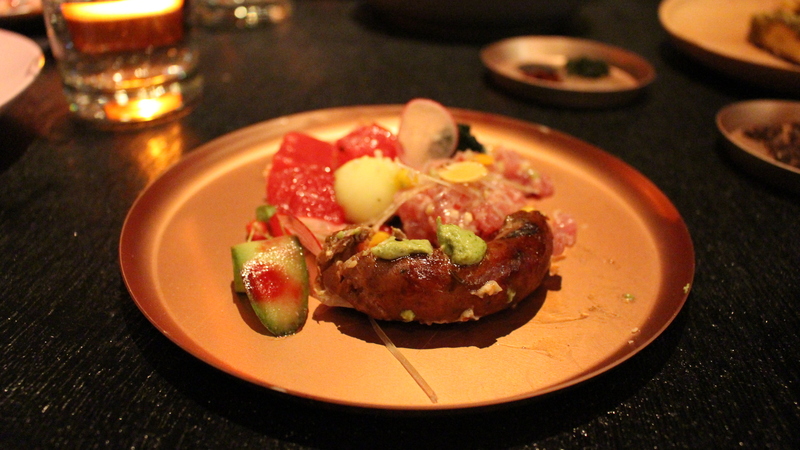 It was an unusual dish and sadly did not ‘wow’ me over. To accompany our starters and mains, we ordered a few of their ‘shrubs’. When I first read ‘shrub’ on the menu, I instantly thought of the shrub plant that you would find at a park, and then I kept thinking to myself, how could that be a cocktail? It was yet another interesting word that I had not come across and again, I was very excited to try one. A ‘shrub’ is basically an ancient Middle Eastern drink consisting of a a sweet vinegar-based syrup, herbs and water. 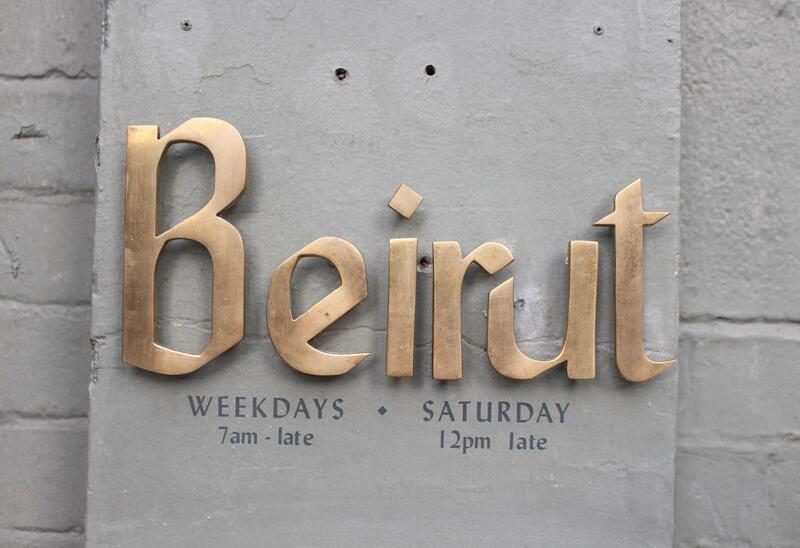 Beirut offer six alcoholic ‘shrubs’, but you can also opt for non-alcoholic and also mix up your options. I ordered the ‘Honey Dew Melon’ with fresh mint and tequila (instead of vodka), while others ordered the ‘Raspberry’ with citron vodka and the ‘Persimmon’ with tequila. They were all delicious – sweet, nicely presented and decorated with fruit and herbs. I can see these becoming a hit come summertime! 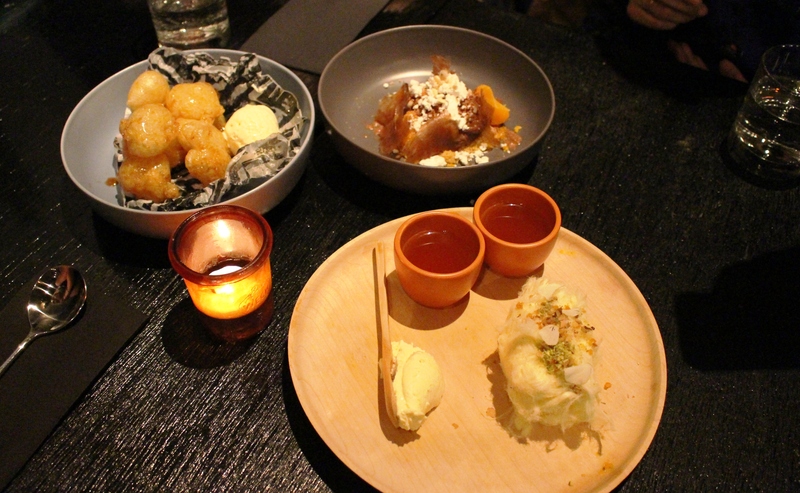 Beirut also offers four desserts – Pashmak served with a saffron floss, clotted cream and a small cup of apricot tea, Arabic doughnuts with fennel ice cream, Chocolate coffee ganache with cardamom and pine nuts and last but not least, Buttermilk ice cream with candied walnuts, plum, meringue and Turkish delight ice. Of course, as all five of us are foodies, we had to order all four desserts! My favourite dessert was definitely the buttermilk ice cream. 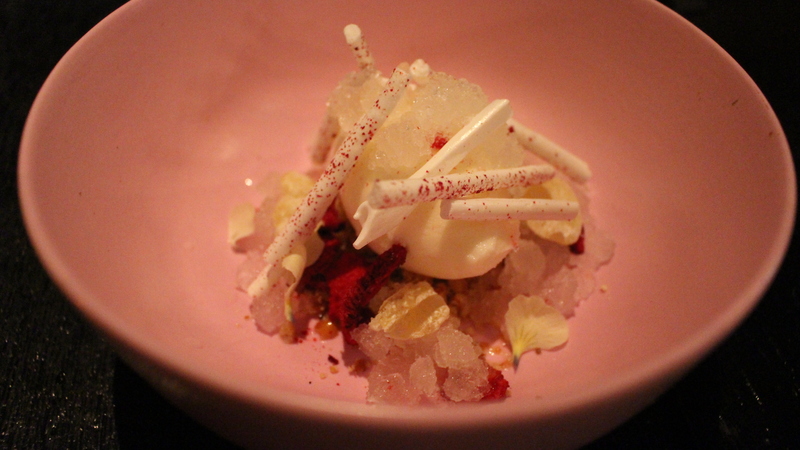 It arrived in a beautiful light pink ceramic bowl and came topped with candied walnuts (sweet and crunchy), plum, dehydrated meringue sticks and best of all, Turkish delight ice. I have never heard of or seen Turkish delight ice, but it was surprisingly good! 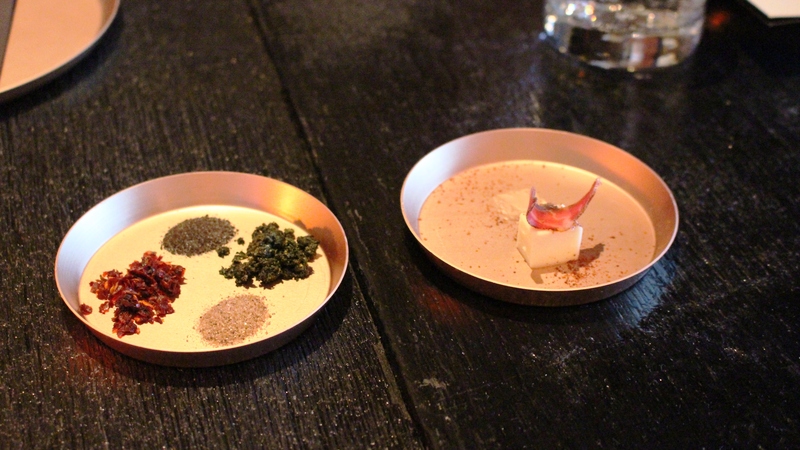 The flavours and textures worked well, and it was a lovely way to end our meal. 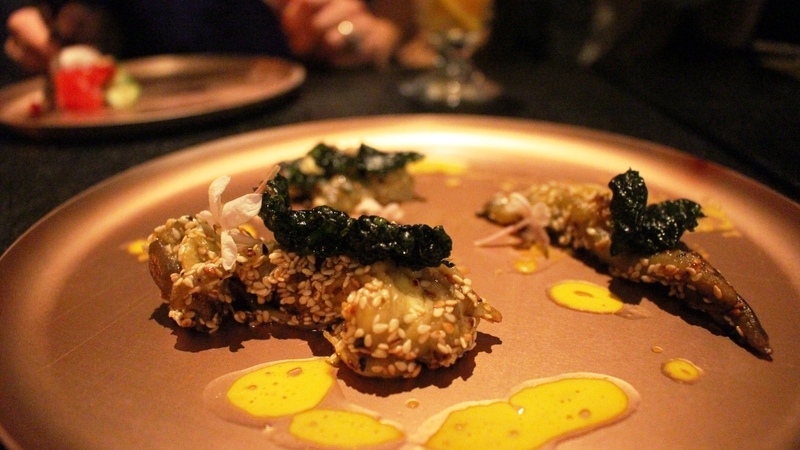 We had a fabulous night at Beirut – the food, the service and the drinks were all spot on. 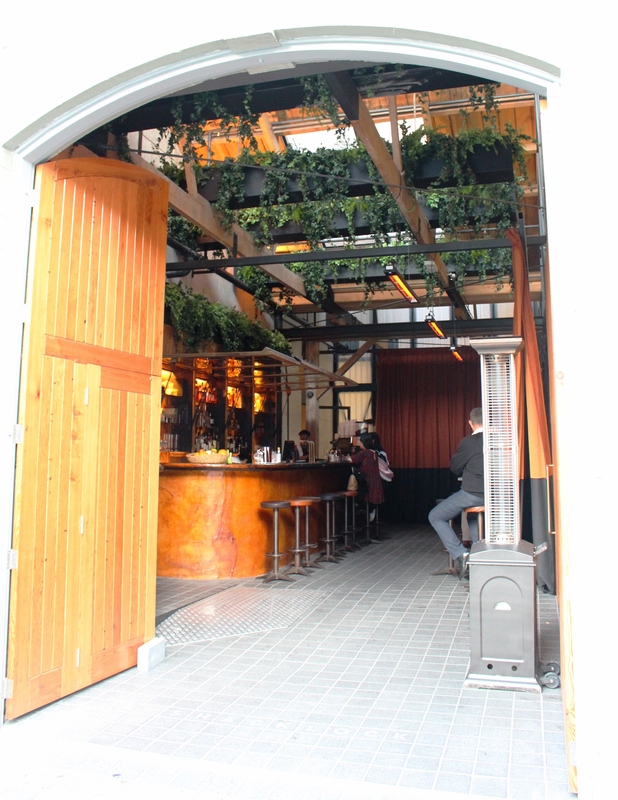 I cannot wait to come back (especially in the summer when it is a bit warmer) to try more of their shrubs and delicious food! 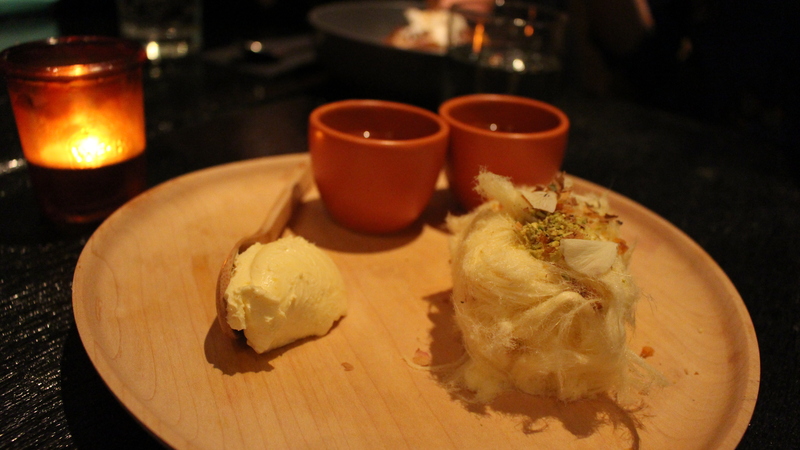 Recommended: smoked yoghurt labna, za’atar, fattoush salad, buttermilk ice cream and saffron floss. Ooh I’m looking forward to visiting soon. I have heard so much about this place and your photos of the food look delicious! Aw thank you so much!!! 🙂 The food was all very flavourful and loved the shrubs! !